Currently enrolled college age students admitted at club member rates; be prepared to present your current valid college ID card. GLSDC Membership Fees: $30 first year, $25 renewal there after - Membership year March 1 through February 28, regardless of when you join. Special pricing available for new members who join between November 1st and January 1st - see membership form for more information. Click on memberapp2018.pdf below to open and download the membership form. Memberships not renewed before March 1 expire; subsequent renewal is considered a new membership and is subject to the $30 initial membership fee. Membership cards are mailed to all members, typically within two to three weeks of joining/renewing. Members should carry their GLSDC membership card to all club events, and when visiting other area dance venues, as some clubs have reciprocal admission agreements with the GLSDC. ​We meet every Wednesday at Rollhaven of Grand Blanc, 5315 S. Saginaw St, Flint, MI. 48507. 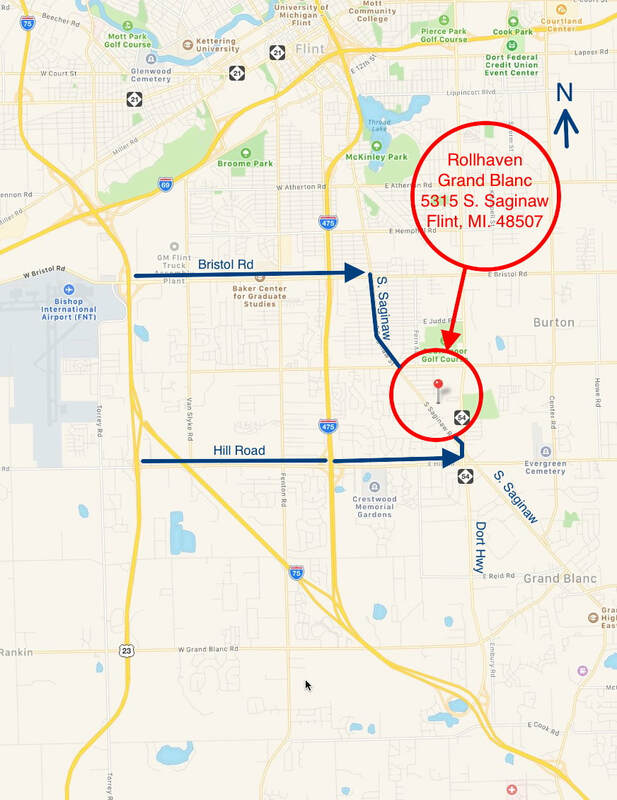 This is in Grand Blanc Township, not far north of the Grand Blanc Township Offices & Police Department..